Door BANDAI NAMCO Entertainment Inc.
Ontwikkelaar: BANDAI NAMCO Entertainment Inc.
Compatibiliteit: Vereist iOS 9.0 of later. I have done shisui 10x summoning and I got a report that I got 10 of those tickets when I want to use them the aren’t in my inbox and I can’t summon anything. This game got to manny isues. 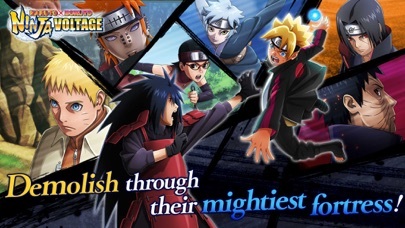 Its to bad I even enjoy playing this game but if I can’t get any of those ultimate jutsu card I am getting nowwhere. It was a good game... until the tutorial ended. 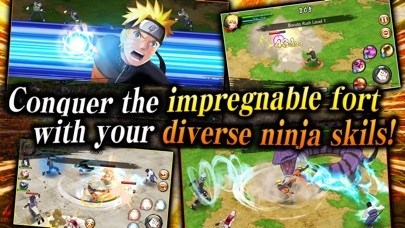 Once the tutorial ends, you suddenly receive hundreds of messages in your mailbox from March 2018 and onward, and instantly get some 50 ninjas. 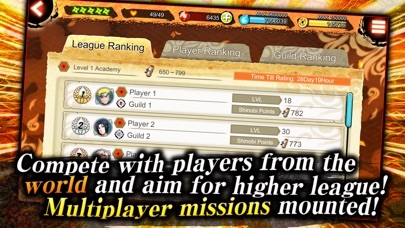 This makes story missions boring, and normal combat suddenly too much. If you wouldn’t receive any items from before you started playing, I believe the game could’ve been much better. Hi, i just recently started playing this game and find it really hard to navigate and know what im doing. 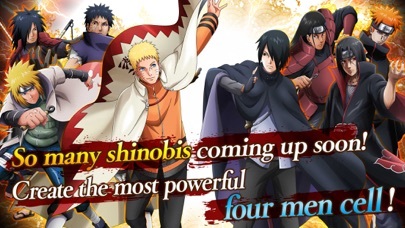 Also instead of making new characters you should make different obtainable either with Shinobite (for really good ones) or with gold (for some normal uniforms) uniforms that make the base character more powerful. 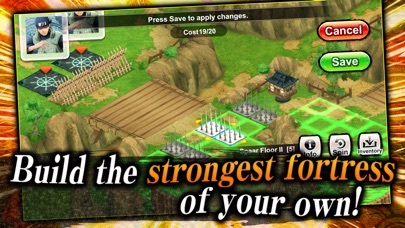 Also giving more detail and guide on how to use ninja cards wisely would be nice. Also please make your game interface more simple and easier to look at. Meer door BANDAI NAMCO Entertainment Inc. Copyright © 2019 Apps Store.